I was lucky enough to have good parents. Like me, they were human and fallible, but they taught me with love and that made all the difference. They taught me to seek truth and to let that truth change my life. Even as I advance through my years as an adult, I see more value in what they taught me with each day. I am very thankful for the things my parents taught me, and I hope and pray that I honor them in the way I keep their teachings. Should I make a mistake, the fault is mine because my parents taught me to do better than that. If anyone should think they are unfortunate in who their parents are, look to the great peacemakers and what they taught. Let them be your parents. Strive to honor their teachings. When you falter, do not make an excuse for your mistake. Simply resolve to continue striving so that mistake is not made again. But continue to seek out the words of the teachers of peace as regular fortification against the hate and lies of the world. As my parents taught me to do, seek truth and let that truth change your life. This entry was posted in Reason to Live on 11/28/2010 by deanwebb. I’ve started on reading the words of Gandhi, and I’m amazed at how similar his views are with mine. For example, love. We both agree that love is a force that binds all souls together, just as physical forces bind all matter together. Neither of us can prove love exists in anyone’s heart but our own, but an honest person must admit that he or she does know what love is. Right away, we see that love requires an element of truth: for a love story to be real, it must involve truth for one and all. Any lies will serve only to destroy that love. A lie requires either living a second life trying to cover up the lie or dealing with revelation and betrayal: neither way is good for the heart, but the second way is better than the first. Therefore, to truly know love, abandon lies, including lies we tell ourselves to justify our sins. 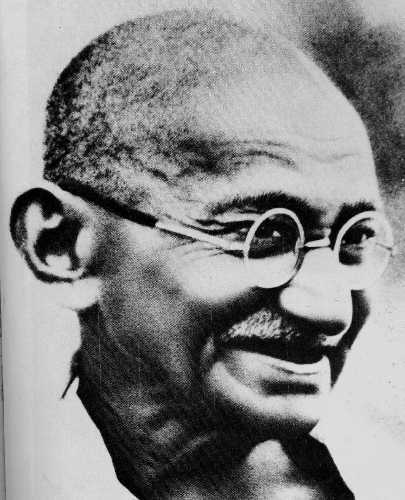 Rather than list them off, one by one, as in the Law of Moses, Gandhi provides a catalog that requires one to look deep into one’s life and examine it. Find these things that are without and change them so that they are with what they should be with. The solution is within us all, when we are ready to experience it. I should say that writing things like this is effective, even if all they do is reinforce the wisdom and truth others have communicated to me. If I can repeat over and over again the encouragement to be loving, honest, and faithful, I can strengthen those characteristics in me. If others read this and begin to see a positive change in their lives, then so much the better. I invite anyone else reading this to join me in teaching others this message. When we remove the sins from our lives, our love becomes more perfect and more pure. Along with our increased honesty, we become more able to experience faith on behalf of those we love. They say things, and love tells us that they are true without any other available proof. I cannot prove that my wife loves me, but I know that she does. Together, we have faith in each other. During our hard times, we rely on that faith to keep our love whole. Love cannot exist where there is violence, and violence is more than physical or verbal abuse. Violence can be the expectation of an immediate change. Love is not immediate change. True love is as patient as the river, as steady as the wind, and as long-suffering as the rain. When we want to see a change in those we love, we need to be as the river, the wind, or the rain, and also be ready to forgive the one we love so we, too, should be forgiven: the one we love is also wanting to see us leave behind our faults and for that, we need forgiveness. The tools of change are prayer and fasting and soft words. With anything stronger, love departs and anger makes itself present. Anger can cause immediate change, but those changes are lasting only if they’ve broken something. And who would want to be a cause of a broken heart? So this is why I choose to fast and pray and use soft words. If the change I desire to see does not happen right away, that is natural and I need to be as the river, the wind, and the rain: never failing, always there. This entry was posted in Reason to Live on 11/27/2010 by deanwebb. Could the North Have Won? “For the want of a rider, a battle was lost; for the want of a battle, the war was lost.” This traditional proverb came to us from the depths of European history, yet it is highly appropriate in the context of the War Between the States. Americans have always been fascinated with the four years of conflict that wracked the nation from 1861 to 1865, and always the question arises, “What if the North had won?” There were so many near-misses for the North that this question has remained active in the imaginations of battle re-enactors, as well as serving as an inspiration for more than a few popular alternative-history novels. There has been little serious investigation into this matter as historians usually have their hands full dealing with what did happen, leaving little time to look into questions of what didn’t happen. Therefore, I hope my fellow historians will excuse me for my dabbling into the realm of what might have been. When entering into speculation, it would be best to disabuse one’s imagination of notions of entertaining implausible fantasies. Yes, the war could have ended perhaps with either side sweeping the field at First Manassas and then pursuing a routed foe to his capitol. Realistically, neither side was organized enough to give proper pursuit – ending the war in July 1861 has to be shelved as an idea, since it really had no chance of happening. Meade is one of the most fascinating Northern generals, and Lincoln’s removal of Meade in favor of Grant had a devastating effect on Northern fortunes. While Grant had won a series of victories in the western theater, they all came at a high cost in Northern casualties. Grant’s nickname, “Butcher,” however, arose from his conduct of the Wilderness campaign, in which he squandered enough men to make up a second Army of the Potomac, all to no greater avail than to move a few miles closer to Richmond. Meade had shown a talent for outflanking Lee in the aftermath of Gettysburg. To Meade, a war of maneuver was infinitely preferable to a war of attrition. If Meade had had another 100,000 troops to supplement his forces, rather than replace them, I am certain he could have used them to surround the Southern forces under Lee, forcing them to abandon their fortifications around Richmond once the Northern forces stretched out to embrace the rail lines feeding the city. In my view, the war could have been over with a Union victory in mid-1864. If that had happened, Lincoln may have gone down in history as a great president, as befitting a victor in a major conflict. Instead, the North endured the wrath of Jubal Early. We are all familiar with how Early emerged from the Shenandoah in July 1864 and drove hard for Washington, burning the White House and Capitol to the ground on 10 July. With that lightning stab, Early destroyed both the morale of many in the North and the re-election hopes of Abraham Lincoln. Of all the near-misses of the war, this is the one that intrigues me most. What is often not seen through the mythology surrounding Early’s masterstroke is that the North possessed the means to hold back Early’s column, if not defeat it outright. The head of the Baltimore and Ohio Railroad, John W. Garrett, was an ardent Northern supporter and had advance knowledge of Early’s movements as early as 30 June. Garrett passed this information on to Major General Lew Wallace, who commanded a Northern force in the area. Wallace wanted to move his men to interpose between Early and Washington, much like a knight protecting a king in chess. In Wallace’s memoirs of the war, he laments that he arrived near Frederick, Maryland to be in the path of Early’s advance a day after Early had already passed through. Although Wallace had only 6000 men under his command to Early’s 15,000, his force certainly could have slowed down Early long enough for the reinforcements racing to Washington to have arrived there to man the fortifications before the Southern forces invested them. Even after Early’s men burned the capitol and took up the defensive positions to deal with Northern counter-attacks, the war was not yet decided. Grant chose to maintain his veteran forces opposite Lee and left the relief of Washington to Wallace and his “Hundred Days Men.” These troops were volunteers with very little training, best suited for garrison duty where they could enjoy the advantages of fortifications and commanding fields of fire. Had they been manning the lines in the forts around Washington, I believe that they stood a better than average chance of being able to hold them and repulse Early’s column. As it was, the positions were reversed and the poor devils were ground down under the withering fire from Early’s battle-hardened forces. What if Grant had abandoned his positions in Virginia and doubled back to Washington? It was certainly possible, as Lee could not afford to be on the tactical offensive. A screening force was all that was necessary to keep Lee in place and the rest of the Army of the Potomac could have at least retaken the capitol. As a commander, Meade was more than capable enough to deal with Lee’s maneuvers and Grant certainly had the proper mindset to order his men into the teeth of massive defenses. A Grant-led recapture of Washington would have been a bloody affair, but it would have been a tonic to Northern morale. The North certainly needed a tonic after the disasters of 1864: Sherman’s men in Tennessee were pinned down by Forrest’s raiders for much of the first half of the year; Grant’s aforementioned phyrric losses in the Wilderness dominated headlines in May; Grant’s further bloody loss at Petersburg led to demands for his removal in June. By the time Sherman had managed to extricate his forces from Tennessee and get them to Atlanta, the Southerners under Johnston were ready to receive him, handing him a major defeat at Kennesaw Mountain. Sherman’s victory at Marietta was more than overshadowed by Early’s capture of Washington. Grant’s failure to move to recapture Washington, a major symbol of Northern pride, is widely accepted as his greatest career blunder. Grant only compounded his errors when he ordered a massive assault on Richmond, in what is known as The Battle of the Crater. Although Burnside’s command was directly responsible for the affair, Grant bears much of the blame for the disaster as its chief planner. It was bad enough the Northern forces lost nearly 4000 men in the action for no real gain: that the majority of the forces ordered into the bloodbath were Colored Troops proved to be the highest order of public relations disasters. Again, the echo of Early in Washington: had Grant doubled back to deal with Washington instead of making a desperate and ill-guided attempt to answer the South, capitol for capitol, he would have avoided the final disaster that ended his military career. The proud and flamboyant McClellan made much of Grant’s mistakes on the campaign trail. McClellan’s claim to fame as the victor of Antietam and, as such, protector of the capitol, proved to be effective propaganda. The coalition between Republicans and War Democrats that made up Lincoln’s Union Party found its support evaporating in the wake of Early’s capture of Washington and Grant’s disaster at The Crater. Congress, from its hastily-arranged new meeting halls in Philadelphia, demanded Grant’s removal and Lincoln obliged, giving more potency to McClellan’s campaign to end the war with negotiation. August and September proved to be as bad for Northern fortunes as the previous months had been. Although Early abandoned the Northern capitol after a few days, the repercussions of his raid were felt across both the North and the South. Johnston and Lee fought masterful defensive battles around Atlanta and Richmond, respectively. Back in the Shennandoah, Early’s forces won key battles at Kernstown, Winchester, and Fisher’s Hill. These latter three victories had another component relating them to Early’s victory at Washington: in his memoirs, Early writes with unconcealed enthusiasm about how “God delivered him from a traitor worse than Judas” when his unreliable cavalry commander, Thomas Rosser, was killed in battle, “saving him the effort of having to hang himself.” Rosser’s replacement, John S. Mosby, proved to be much more competent and Early’s victories in each of those engagements were due in large part to Mosby’s expert management of the Southern cavalry. Politically, Lincoln’s fortunes were already falling under a cloud when the House opposed passage of an amendment to end slavery in April. Congress’ forcing him to remove Grant was only part of the political story in early August: the House followed up with drawing up articles of impeachment, although they never took the matter to a vote. The message to Lincoln was clear – his days as president would end in 1865, absent some sort of miracle. With Meade struggling to restore morale around Richmond, Sheridan blunted in the Shenanndoah, and Sherman bogged down around Atlanta, we all know that miracle never materialized. Northern morale was very low, with desertion running high in all units. While the popular wisdom has it that Southern morale was good throughout the war, the reality is that Southern desertion rates were very high in the first half of 1864 and that North Carolina and Texas were all but ready to exit the Confederacy. The capture of Washington proved to be the element that reversed that trend, providing much-needed resolve that had to be a factor in the Southern forces’ being able to hold their ground for the rest of the year. When election time came due in November, McClellan’s ideas proved the most popular, with 53% of the popular vote going his way. In the Electoral College, McClellan had 130 votes to Lincoln’s 103, giving McClellan sufficient votes to claim the presidency. Looking more closely at the data, we see yet another echo of Early’s raid: McClellan carried the 33 electoral votes in New York and the 26 in Pennsylvania each by less than a full percentage point. Absent that raid, even with the rest of the battles going as they did, a swing of 59 electoral votes would have returned Lincoln to the White House with a resolve to carry on fighting. With Meade back in charge of the Army of the Potomac, a victory could have been possible for the better-armed Northern forces that enjoyed numerical superiority over their Southern counterparts. It would have been a narrow and bloody victory, yes, but a victory all the same. But would a Northern victory have been better for America than the historical outcome? Lincoln had already shown weakness in the face of Congress over the anti-slavery amendment and Grant’s removal. If he had returned to the White House, he would have been a weak president, unable to put his views over what would have been a strongly Republican Congress. Although he would have amended the Constitution to ban slavery, his lenient views toward the South would have certainly run afoul of the more radical branch of the Republican party. Had they been in control of things, we may have remembered Lincoln as the first president to have been impeached and removed from office. I know I earlier said Lincoln could have been one of the great presidents with Meade winning over Lee, but Lincoln would have been stronger politically in that circumstance. In this scenario I present, Lincoln’s political power would have been greatly reduced – enough to win the election, but only with the support of the radical abolitionists. So now the question of “what if the North had won?” now becomes one of “what if the radical Republicans had been in power?” They would certainly have pressed for a harsher prosecution of the war itself and would also have treated the South as a conquered land, imposing tough terms. While the South did not lack the will to continue the war much longer than they did – they fought hard in 1864 in the hope the election went to McClellan – they would have certainly resisted Northern impositions on their precious states’ rights and culture. Rather than return to the United States in a negotiated settlement, with eventual voluntary abandonment of slavery, they would have instead resisted occupation and would likely have reacted violently to the forced end of slavery. Given that most Northern states passed laws banning the migration of blacks, free or slave, into their territory, one has to presume that a United States with forcibly ended slavery would have sent all the people of color back to Africa, which would have been a great cultural loss to America, given later events. As it was, the eventual phasing-out of slavery on the terms of individual Southern states allowed the blacks to remain in America and mingle with the population there, much as freed slaves did in much of Latin America. In spite of initial racial hostility in the North, blacks were eventually accepted as equal citizens there, in large part to their already being accommodated in the South. Because of the so-called “Great Peace” worked out by president McClellan, not only was the USA able to reclaim its lost states peaceably, it was also able to retain a diverse population that later helped to enrich both the culture and science of the nation in the 20th Century. This tolerant, diverse United States was the one that was able to receive the remnants of Spain’s colonial empire when they broke away from their motherland in 1899. An intolerant nation would not have welcomed freedom in the Caribbean and the Pacific in the same way: for all those that speculate about what would have happened with a Northern victory, look to the flag and imagine it with nine fewer stars. We all know and accept that the South had no real chance of winning the war without European support. That support was doomed from the start when the British began cotton cultivation in Egypt. But the South did attain a negotiated peace, thanks in large part to Early’s capture of Washington. With that negotiation, it was able to peaceably re-integrate into the United States. As alluring as the question of what if the North had won may be, perhaps it’s for the best that no one side “won” the war at all, with the ability to impose a vindictive peace upon the supposed loser. While I hope I don’t come across as a Pangloss, I do see the actual outcome as being preferable to a number of scenarios of what might have been. This entry was posted in Complete Fiction on 11/26/2010 by deanwebb. I like watching “Dancing with the Stars.” I’ve liked ballroom dancing for a number of years and it’s a guilty little pleasure to watch this show. I’ve enjoyed watching some stars develop into some really good dancers. While there have been upsets in the past, nothing’s compared to this season’s mess surrounding Bristol Palin. Sorry, folks, she really shouldn’t be in the finals. The fact that a guy’s been leading a campaign to stuff the ballot boxes for her is absolutely no surprise to me. I knew something like that was going on all through the season. While she’s nowhere near the train wreck that Kate Gosselin was, she ain’t no Brooke Burke, either. She ain’t even a Cloris Leachman. Leachman may not have been a great dancer, but she always had drama and power. All that aside, and also leaving aside the judges’ nines for Bristol’s shuffling around, I want to look at that ballot box stuffer. He claims this is revenge for JFK’s stealing of the 1960 election. He’s serious about this. He claims that the Democrats have been stealing elections for a long time, and now they’re due for some payback. That he’s the darling of the 26 Percenters that have transferred their blind loyalty from Dubya to Sarah Palin only reveals their willingness to engage in selective ignorance. A brief history of major US presidential electoral improprieties may suffice to help the rest of us see things clearly. The Republican Party made its first rigged grab for the presidency in 1864 when they created the state of Nevada to squeeze out 3 more electoral votes. It followed up with the elections of 1868 and 1872 in which they disenfranchised thousands of Democratic voters in the South to guarantee Republican victories. In 1876, the Democrats made a strong run for the presidency, so the Republicans cut a deal with the unreconstructed Southerners to get their man into the White House. When Nixon ran for the Senate in California, he got a phone bank to call Californians, telling them that his opponent was Jewish. His opponent wasn’t Jewish, but he still leveraged the racism in that state to give him a victory. The 1960 election itself, which the Palinista cites as his inspiration to rig the voting, had a number of shady votes cast for Nixon. Historians feel that the main reason Nixon didn’t want an investigation into voting fraud in that race was because it would reach him, as well. Then there was the 1968 election in which the Republicans torpedoed a peace deal in Vietnam to prevent the Democrats from having an October Surprise. Thanks for that one, Republicans. Way to stay classy, keeping a horrible war going on for five more useless and unfruitful years – also putting the world in nuclear jeopardy with Nixon’s “mad man” move during peace negotiations. The topper for the ’68 election had to be the ’72 one, in which we had the infamous Watergate scandal. Of course, the selectively ignorant core of the Republican Party has made heroes of the men that committed crimes to destroy the democratic process. The Democrats let Boss Tweed of Tammany Hall fall into the dustbin of history but, no, the Republicans must lionize their scoundrels and criminals. Then there was the election of 1980. Carter tried to rescue the hostages in Iran, and the Republicans torpedoed the negotiations and – this is hardly ever mentioned – had their men in charge of the botched rescue mission itself. General Secord and Lt. Col. Oliver North were running the mission that saw its helicopters crash in the desert, with Carter’s election hopes with them. Am I saying those men deliberately sabotaged the mission? I can’t prove it. But North was the man in charge of maintenance on those helicopters and he later emerged with Secord in the Iran-Contra Scandal, violating law after law there. Because of that dynamic duo, America’s riddled with crack cocaine and the crime that goes with it. They may not themselves have been drug dealers, but they kept awful close company with them, to the point where they blocked prosecutions and cut sentences. The 2000 and 2004 elections saw improprieties on both sides, but the Republicans had them where it counted. Diebold voting machines, anyone? So, please, don’t give me the crapulent line that the Democrats are somehow dirtier than the Republicans. As the man that has rigged the voting for Bristol Palin demonstrates, the Republicans have a penchant for not only trampling on the rules they expect others to follow, but feel justified in it. In 1099, the Crusaders pillaged Jerusalem. They slaughtered Muslims, Jews, and Christians indiscriminately. Chroniclers noted that blood ran 2-6 inches deep in the streets from the massacres. The Crusaders felt justified in their bloodshed. Not only did they feel justified, they felt vindicated in their crimes. I see the same sort of self-righteousness evident in the Republican movement that thinks taking over a ballroom dancing competition is the right way to settle an old score. Such attitudes only weaken the USA when they catapult people in power that, by rights, should not be there. This entry was posted in US Government on 11/22/2010 by deanwebb. Ed Snape entered the faculty lounge just as the bell rang. First one there. Best shot at getting coffee. Ed rolled his eyes and shook his head as he headed to the bathroom to clean the pots. It had to be the new assistant principal, Randall Importantsoundinglastname. Ed was sure Randall had changed his name legally after he got his administrator’s certificate just so he’d sound impressive at job interviews. This was Randall’s second gig in administration, after serving 2 years at some school out in the boonies. Word in the lounge had it that Randall had been doing something a bit improper, as his wife had seen fit to divorce him right when he applied to work at Joseph T. Hogwart High School. When Ed got back to the faculty lounge, a few other teachers were there, sitting in all the comfy chairs. Ed got the coffee going. As he did, Donna Hifflewiggins scooted over on the sofa and said, “You can sit here, Ed.” Donna was a great old teacher, always ready to help a comrade. She’d been at JTHHS for what seemed like forever, teaching freshman Telekinesis classes, year in, year out. Ed nodded and got up to go see Ray. Ray smiled. “Well, this one’s a bombshell, but I want to keep you as a teacher so I guess I better tell it to you so you don’t make a big mistake. Look at this.” Ray handed the paper to Ed. Ed read it. He couldn’t believe it. Ray said, “I’ll need that back.” He held his hand out. Ed thanked him, shot the breeze about how the quidditch team was shaping up this year, and then went back to the lounge, hoping to get some coffee before his next class. Enrique nodded, took a quiz paper, and got right to work on it. After school, Ed stopped by the counselors’ office and went to the lady in charge of Enrique’s end of the alphabet: Connie Razzenfrazzen. Connie was a cute, plump, grandmother of a lady just a few years away from retirement, but still sharp as a tack… most days. “Can’t. Sorry.” Connie’s answer was fast enough to indicate she’d already wrestled with that beast. Ed’s heart sank. This was going to be a huge, huge problem. Hopefully, if there was any justice in the world, this new kid would be terrible compared to the others and would accept playing at some other position. The next morning, Enrique showed up to practice on time. Coach Snape took him and the other seekers off to the bleachers for broom drills. Drake Schlechtglauben, the starting JV seeker, gave Enrique the stink-eye from the get-go. Ed worried that Drake might try to get rough with the new kid. Ed’s worries increased when Enrique finished the boom drills first. Those bleacher runs were murder, with or without a broom, but Enrique looked ready to go for another round. The kid was in great condition and had moves to match, no question about it. Drake peeled out on his broom and started his laps. The way he was going, he was set to have some nasty wind burns when he got back. Ed got the rest of the seekers doing skill exercises. As they went through the paces, he noted that the new guy wasn’t just an ace on the bleachers. He had talent like Ed had never before seen. This Alfarero kid was golden – a prospect maybe for a pro team, and certainly a shoo-in for a full ride at a good Division I school. If he played as a starter, he’d get a lot of time in front of the scouts and that would be his ticket to a better place. And that was the thing Ed feared most. Schlechtglauben was the current starter and his dad was president of the school board. Old Luke Schlechtglauben wasn’t above using his child to advance his schemes and vice-versa. He was the regional VP for Volde Mortgage, the nation’s largest lender to wizards, and nobody in town wanted to have his papers reviewed for possible clerical errors. Schlechtglauben always used that as a veiled threat to jack the rate up a percentage or two or hold the borrower in default and foreclose. Schlechtglauben had already tied the fate of the district to his son’s starting on the quidditch team. When it looked like Drake was going to be the backup seeker in his freshman year, old Luke chose to fund the capital and equipment improvements package with a tax hike. After the coaches made Drake the starter, Luke proposed to the board that it instead fund the improvements with a much more palatable bond issue. Had the JTHHS coaches stuck to their guns, then the kids would still be using wands from the 19th Century. Drake was fine as a seeker, so the program didn’t suffer: just their integrity. As for the #1 guy, he went off to another school less riddled with politics and earned his starting role there. Hogwart High made it all the way to the second round of the state playoffs, where they faced their former starter at his school… and that’s as far as they got. The other school went on to the finals, where it took its third straight state championship, won off an amazing snitch catch. Of course, Luke Schlechtglauben had enough nerve to demand the head coach be fired if the team didn’t advance further in the playoffs this year – and this was just at the JV level! Ed shuddered to think of what kind of trouble Luke would raise up when Drake moved up to Varsity… or if another seeker became starter. Ed knew it was only a matter of time before it was obvious that Enrique was the right seeker for the starting role. If this was like any other team where kids earn the right to play, all Enrique would have to deal with would be the hazing from other players before he proved himself. Here, he had to practically take on all of Volde Mortgage, since that was the power that kept Drake in his high place. “Walk with me.” Ed led Enrique back out on the field, now deserted. Enrique kicked a rock across the track and turned away. Enrique turned back to face Ed. Enrique nodded. Then he smiled and ran to the school. Ed watched and smiled, sadly, for his new student. Ed decided he was someone worth fighting for, since it seemed like nobody else was doing the job. He didn’t know if he could take on Volde Mortgage or anything like that, but there had to be some other way of getting Enrique a fair shake. Ed figured he’d skip doing his duty second period and do a little research on scholarship opportunities for Enrique. Ray didn’t like it when people broke the rules, but tended to be forgiving when they broke the rules for the right reasons. As long as Mr. Importantsoundinglastname didn’t catch him, Ed stood a good chance today’s premeditated skipping of duty wouldn’t go down as a mark on his permanent record. And if Randall Importantsoundinglastname *did* catch him, Ed was ready to counter with a broken rule of his own: always fill an empty pot. If Randall wasn’t going to take care of the coffee pots, then he had no authority to stop Ed Snape from taking care of Enrique Alfarero. This entry was posted in Complete Fiction on 11/21/2010 by deanwebb. This entry was posted in World Hellhole Report on 11/21/2010 by deanwebb. Last night, I had a slice of pizza and chicken lo mein for supper – I should have realized that was going to be the gateway to crazy dreams. I had a very detailed dream in which I was watching an episode of Seinfeld I hadn’t seen before in which Jerry had to deal with an unscrupulous car dealer. As Jerry was looking over a car, the dealer confided in him that he hated foreigners, especially Jews. Seinfeld raised his eyebrows and said, “Yeah, you gotta keep an eye out for those Jews, don’t you? They get everywhere.” Then the dealer said, “In this dealership, it’s ‘watch out, Juden! '” Then that pop-bass line played and it went to commercial. After the commercial, Jerry convinced a judge friend of his from Connecticut to buy a car there. In the dealership, Jerry told the dealer that the judge was actually a Jewish guy from England: “He’s DOUBLE trouble!” The dealer thanked Jerry and went into action, selling him the biggest lemon on the lot. After the judge signed the papers to buy the car, Jerry ran up to the dealer in a panic. “What’s wrong?” asked the dealer. This entry was posted in Ze Rest of Ze Ztuffm on 11/19/2010 by deanwebb. I had a marvelous dream last night. In it, I was with some friends and a German-speaking soldier entered our room. He was injured badly, and we all helped him to recover. He later left, thanking us for what we’d done for him. Later on, I was with a group of refugees under a bridge somewhere, huddling for warmth. The soldier reappeared and told me he had orders to kill us all. “What shall I do?” he said through bitter tears. I said, “Alle Menschen werden Brüder,” my clothes turned completely white, I opened my arms without fear, and prayed that what I said, which means “All men are brothers,” would affect him. He threw his gun away and embraced. We both cried with joy and I felt the glow of brotherhood surround us all. Love is the answer. It really is. This entry was posted in Reason to Live on 11/14/2010 by deanwebb. “US House Moves Against China’s Undervalued Currency” reads the headline, and I wonder if we won’t soon see the Senate and President doing the same thing. It’s a really bad idea to try and start a trade war right now, but the government seems to be united in a bipartisan effort to do so. Once the export sector gets whacked, we’ll all get to see firsthand how awful protectionist legislation truly can be. This entry was posted in Economics, US Government on 11/14/2010 by deanwebb.